Apple's new tablet is the best of its kind, but is it really good enough? 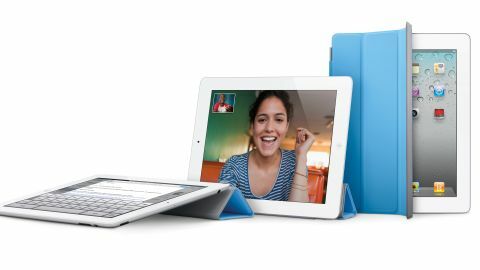 The Apple iPad 2 might be getting a little longer in the tooth, but it's still a viable option in the tablet market. Can iOS 5.1 - soon to be iOS 6 - give it a decent refresh? Long the most coveted device on the tablet scene, the Apple iPad 2 has been pushed from the top spot by its direct replacement, the new iPad. Despite its expected, and even eagerly awaited, annual dethroning, the second-generation Apple tablet remains arguably the second best tablet device on the market with a new, lower price tag and a software update helping transform it into the first true new iPad challenger. We've now updated our review with a longer test, based on more time with the iPad 2 and the new iOS 5.1 software. Having set the benchmark for a generation of tablet devices, the iPad 2 is now almost uninspiring in terms of core specs on-paper, with its A5 dual-core CPU outstripped by the dual and quad-core offerings that feature in a number of the tablet's rivals such as the Asus Eee Pad Transformer Prime and the Motorola Xoom 2 Media Edition. Despite this paper value disadvantage, the overall package offered by the sleekly designed, angled backed tablet is paralleled only by its replacement with the iPad playing host to a user experience, high-end finish and cult-like popularity that is the envy of all other manufacturers. While a number of devices such as the Amazon Kindle Fire, Google Nexus 7 and the Samsung Galaxy Tab 2 continue to pioneer the 7-inch tablet form factor, the 9.7-inch aspect ratio laid out by the original iPad has remained largely the most popular and user-friendly tablet form on the market with the iPad 2 retaining the same 1024 x 768p resolution display with 132 PPI offering as its predecessor. Although now bettered by the new iPad, this visual offering remains one of the best on the tablet scene and one that can hold its own against the flurry of emerging Android challengers. Widely regarded as Apple's most reasonably priced product, and one that boasts the best value for money, the iPad 2 has undergone a considerable price cut since the arrival of the new iPad, with the now year-old tablet available for as little as £329/$399. As well as being £70/$100 cheaper than its respectively specced replacement, the new cut price value sees consumers given the chance to join the Apple branded tablet revolution for around the same outlay as a selection of the less notable and commercially successful Android offerings. Keeping the iPad 2 from drifting into the realms of obscurity, Apple has brought its now older generation tablet to the fore of possibility with the latest iOS 5.1 operating system software now coming pre-installed on the reduced iPad 2 range which includes only 16GB storage capacities for the Wi-Fi and Wi-Fi + 3G connectivity packing options. Once again ensuring the resurgent iPad 2 fits the needs of as wide an audience as possible, the Bluetooth 2.1-capable 3G packing tablet can be tethered to the majority of major UK networks with Vodafone, Orange, O2 and Three all still offering data plans for the device.